Special to the Daily/Sasha GalbraithA hot-air balloon made an unexpected landing on Peak 9 at Breckenridge Saturday. 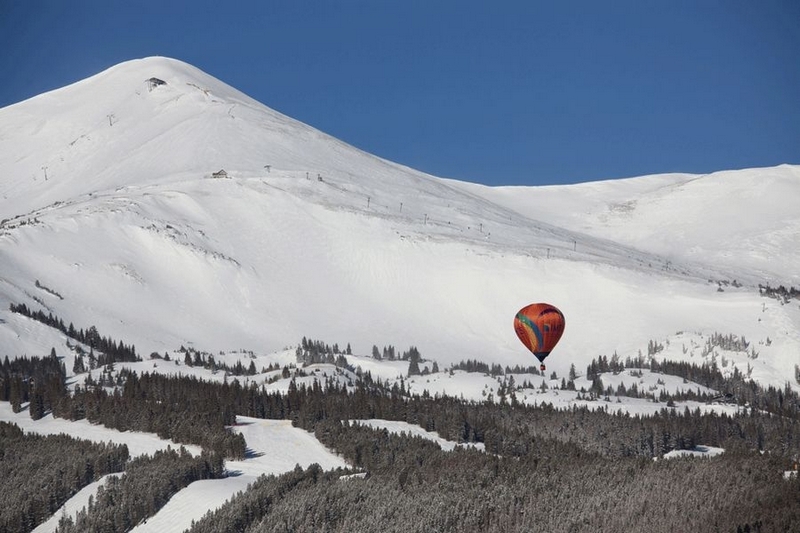 A hot-air balloon made an unexpected landing Saturday morning on Peak 9 at Breckenridge Ski Resort. The balloon was “blown off-course” and is believed to have taken off near Airport Road in town, said resort spokeswoman Kristen Petitt. There were no injuries, and the lifts weren’t endangered. After landing safely on the lower Gold King ski run at about 9 a.m., the balloon was quickly packed. Ski patrol and lift operators secured the scene and escorted the balloon’s passengers off the mountain. The mostly red balloon was labeled IMTS and appears to have been sponsored by the International Manufacturing Technology Show ” an industrial trade show that occurs in Chicago every two years.